After closing in on our second full year of taking the plunge, we have finally found our sweet spot. My kids and I have discovered our individual learning and teaching styles. I know my children’s fears, their dreams, what motivates them, and they, in turn, know me. Despite the ups and downs, it’s a rewarding endeavor. Incredibly rewarding, even if we had to learn some things the hard way. Homeschooling, just like anything else, is a cycle of successes and failures until you learn what techniques work best for each individual child. Something that has been crucial for my own children is this: they need variety. Routine is very important for success, but there are a number of things we’ve employed within our schedule that keeps each week exciting, our days more vibrant than sitting in front of a computer or writing in yet another workbook. We started off with the normal routine breakers: taking our lessons outside on pleasant days, planning fun field trips to science museums, caverns and plays. We scheduled pottery classes, and my kiddos favorite—I enrolled them one day a week at the 4-H center’s all day science class for homeschoolers called SEEK. The problem is, these big activities only account for a handful of days within our school year. What about the rest of the year? 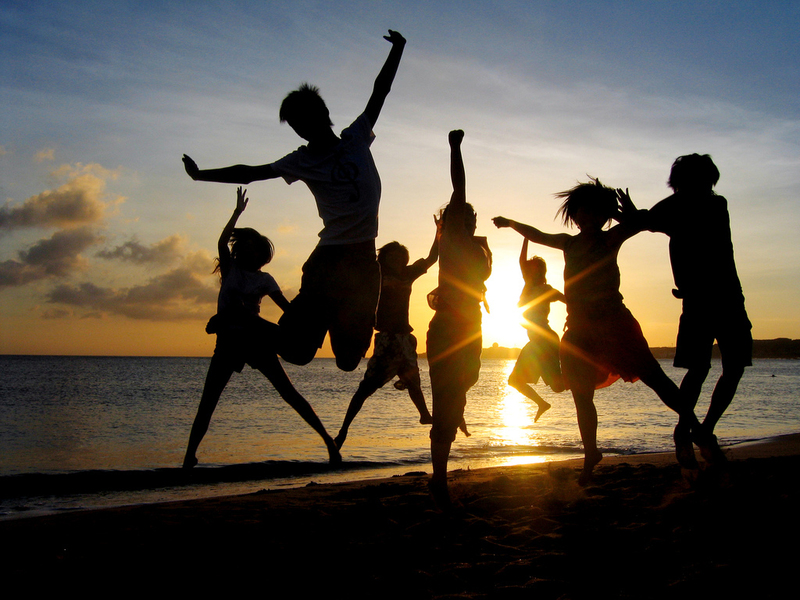 What about things we can do within our daily schedule to mix up the monotony? Here are five of my kids’ favorite boredom-busters. Every month, I pick a theme for our large dry-erase board. Sometimes the month’s theme is “Things that Make Me Giggle”. Other times, it’s “I feel loved when…”. We’ve done “What makes me afraid…”, “Today I’m thankful for…”, and “Today I will pray for…”. Each day, the girls write their answers on a post it note and stick it to the board. After we have collected thirty answers, they get to pull a card from the reward jar. Our reward jar is full cards that say, “Trip to Menchie’s frozen yogurt”, “Mom will buy you a new book”, “shopping trip”, “movie night”, etc. 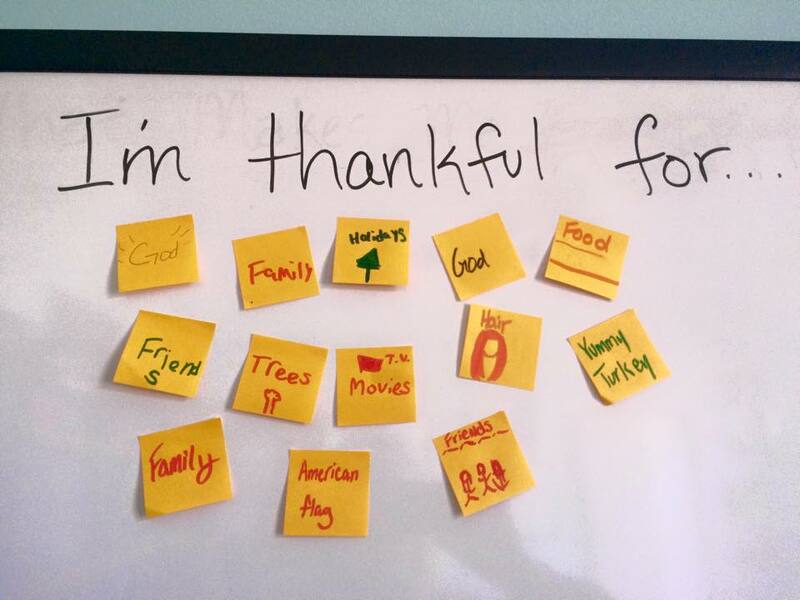 My kids love it, and it’s a great way to have them identify both their blessings and their own emotional make up. 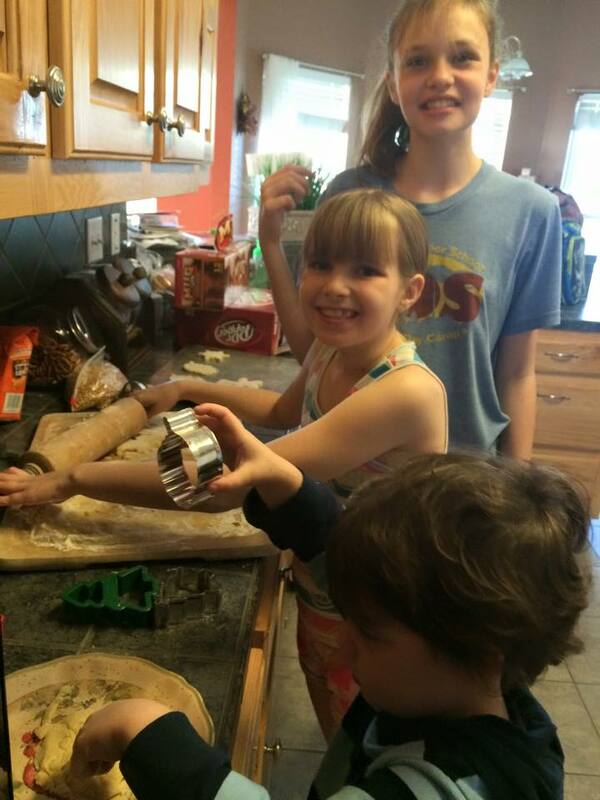 Every other month, I give my girls twenty dollars and they know what to do…cooking night! They must work together to plan a healthy meal menu that covers the basic food groups (and a meal they can personally prepare). I drive them to Walmart and they purchase all the needed items to create their fabulous meal. Raising children is all about teaching them how to be independent, functioning, loving, God-fearing adults, right? What better way than an exercise in practical living. Once a month, we pick a random act of kindness for some unsuspecting person. We’ve done things like visiting someone at the hospital, or decorating and mailing cards to shut-ins. I’m excited about this coming month’s act of kindness: the girls are going to meet our mailman and trash pick-ups workers outside and give them candy and thank you notes for their service. Every Friday I announce a “surprise pick” for the day. Some Fridays they get to skip a dreaded subject and trade it out to play mine craft. Other days we make cookies, or the girls receive a much desired computer game or book. Sometimes it’s something as simple as renting a Redbox movie they’ve been dying to see. It’s their reward for a week of hard work. My kiddos love theme days. Just like spirit week at public and private schools, I let them schedule in themes. 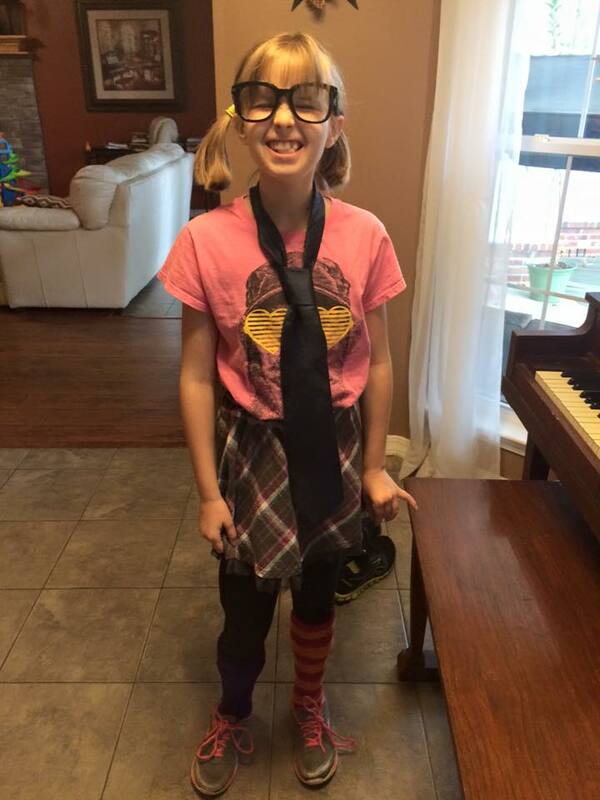 Sometimes it’s girly-girl day, crazy hair day, or their favorite…nerd day. 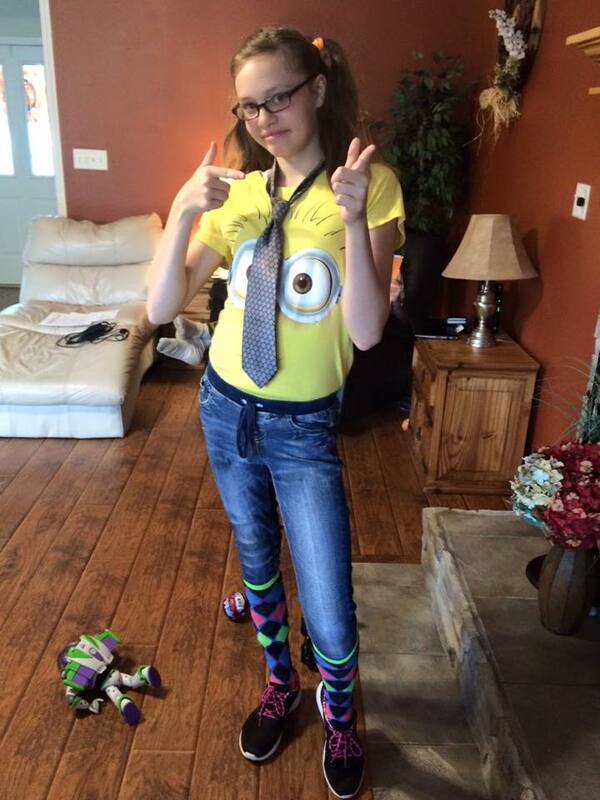 And my kiddos stay in character. All. Day. Long. And never underestimate the joy of an old-fashioned dance party. Drop everything and dance! Our family’s favorites are Toby Mac, Mandisa, Britt Nicole, LeCrae and Hollyn. Whether we take five minutes to get out the wiggles, or spend an hour sweating through our jumps of joy, what better way to get refocused than praising our Savior? Come to think of it, that’s a pretty good plan for each and every day…homeschooling or not. I would love to hear from you. Are you a homeschooling family? What tips or tricks have you applied to keep the homeschool routine fresh and fun?